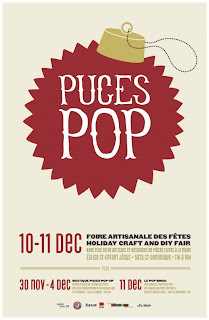 A few more hours and it's time for the Puces Pop Holiday craft fair. This is my first one and the day is looking good. If you're in town, please drop by. If you're not in Montreal, keep yours fingers crossed for a great two days!